I live in an area with frequent power outages so I run a backup generator during outages. Works great. In order to determine if the power is back I unplug the generator and turn on the main breaker and if not turn off the breaker and plug back in the generator. This is disruptive and time consuming. It would be better to have a glance at a light in the panel that indicated if power is back on. Is there something like this sold or a better way to do this? An auto switch over would not be desirable for a number of factors. 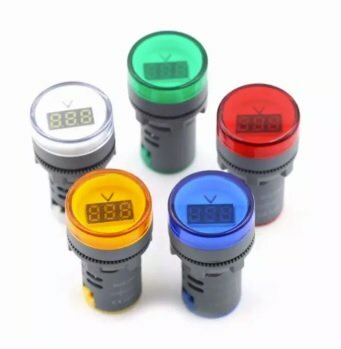 I use a watt meter connected to the mains in my CU. It helps to have an isolator cutoff before that as the inductor from the meter needs to wrap around the live. Also helps to know if there is low voltage and which still needs the genset. If you don't have an automatic transfer switch, you really need to get one. Thanks, I like that product recommendation. As I said I don't think auto transfer makes sense. If I'm not home I don't want the gen kicking on. And overall this system I hope the gen will be temporary until home battery systems become practical so don't want to invest too much into this system with things that might be a bit unsightly and time consuming to retrofit into the house wiring. The transfer switch I refer is not for starting the gen. It is a DPDT switch where either the mains OR the genset is providing the power (precludes both at the same time). This is an important safety measure. I mention because it sounds like you are just plugging in to an outlet (?) with the gen - not good. Why not build my semi-auto transfer switch, manually start the genset but it stops automatically when the juice comes back on. 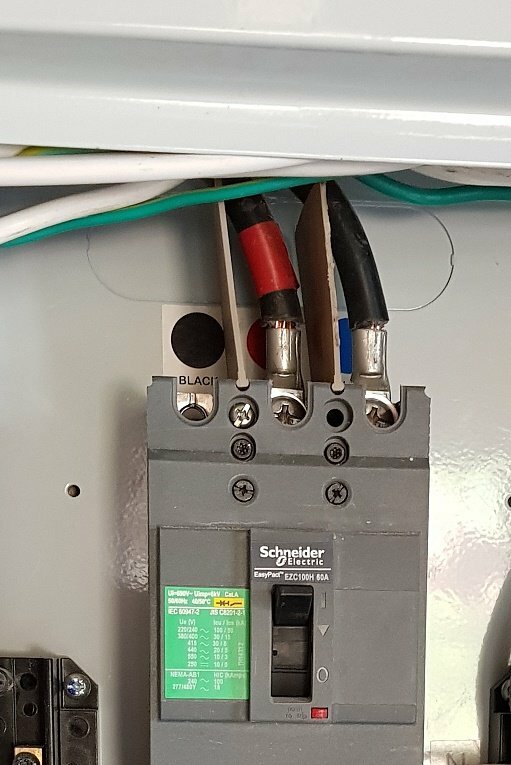 Is there a good technique to fasten its wires to the mains? I do have a breaker at the meter so work done in the house panel can be done with power off. 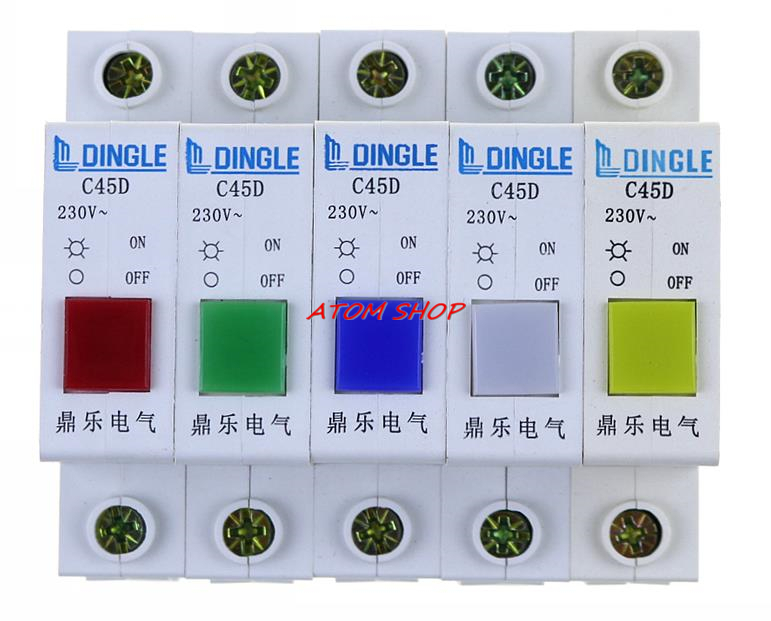 Below are the incoming mains to the main breaker in the panel. Does that inductor coil have a way to open and then clamp? If so, that is a nice feature as it would otherwise involve removing the wire. The other wires just need connect to the Live and Neutral doesn't matter which way. Can't really tell from your photo but presumably the screw will open a clamp on the wire and you can just stick the meter wire in and re-tighten. Edit: I used "velcro" tape to mount the meter. "predantic" ? On the other hand, those wires look like they can handle well over 50 amps. The device is three 100A breakers mechanically linked together passing what should be equal currents through live and neutral. Am I missing something ? 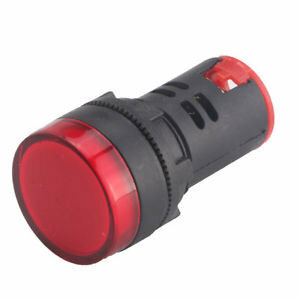 Supply indication could be achieved using low cost LED panel indicator drilled into the side of the Schneider panel. 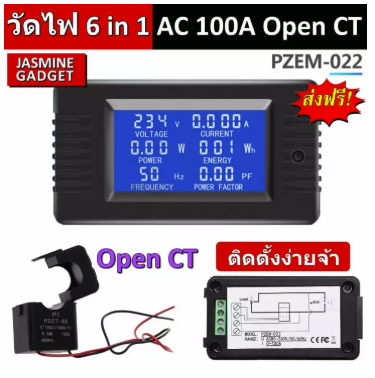 They even have ones with a voltage/current readout as pictured below for a whopping 63 baht each. I like the compactness of these and ease of install of being just a drill hole. But the problem is I can't find any with those nifty open/close connectors for amperage so opted for the bigger rectangular unit that does. Yes your right..Breakers have come a long way since my old school days and looking at the specs it Okay for single phase. Thanks for the lesson it will save me from a bit of stuffing around.